Pier Paolo Pasolini (1922-1975) was both a writer and filmmaker deeply rooted in European culture, as well as an intellectual who moved between different traditions, identities and positions. Early on he looked to Africa and Asia for possible alternatives to the hegemony of Western Neocapitalism and Consumerism, and in his hands the Greek and Judeo-Christian Classics morphed into unsettling multistable figures constantly shifting between West and East, North and South, the present and the past, rationality and myth, identity and otherness. 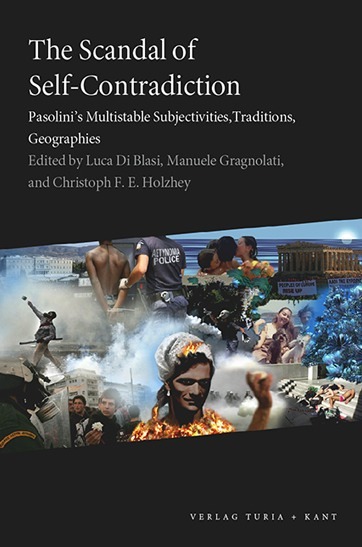 The contributions in this volume, which belong to different intellectual and disciplinary fields, are bound together by a fascination for Pasolini’s ability to recognize contradictions, to intensify and multiply them, as well as to make them aesthetically and politically productive. What emerges is a ‘euro-eccentric’ and multifaceted Pasolini of great interest for the present.